Once the cooler air sets in, don’t you just start craving heartier foods? Maybe it’s because root veggies are deeper in the earth, and when leaves begin to fall, I want to hold on to an intimate relationship with nature. Or, maybe it’s just because roasting them brings out a sweetness that I can’t resist. Either way, this dish is always a fall and winter favorite, whether I’m putting together a quick dinner, or bringing a side to dinner with friends. Slice the onion into long, thin strands. Toss all the veggies into a large mixing bowl. Add olive oil and soy sauce while stirring. Once everything is lightly coated, add a bit of pepper. (Parsnips add a natural peppery flavor, so don’t overdo it!) If you love your food salty, add a pinch of sea salt. Added salt is optional; as someone who prefers less-salty foods, the soy sauce gives all the flavor I need. 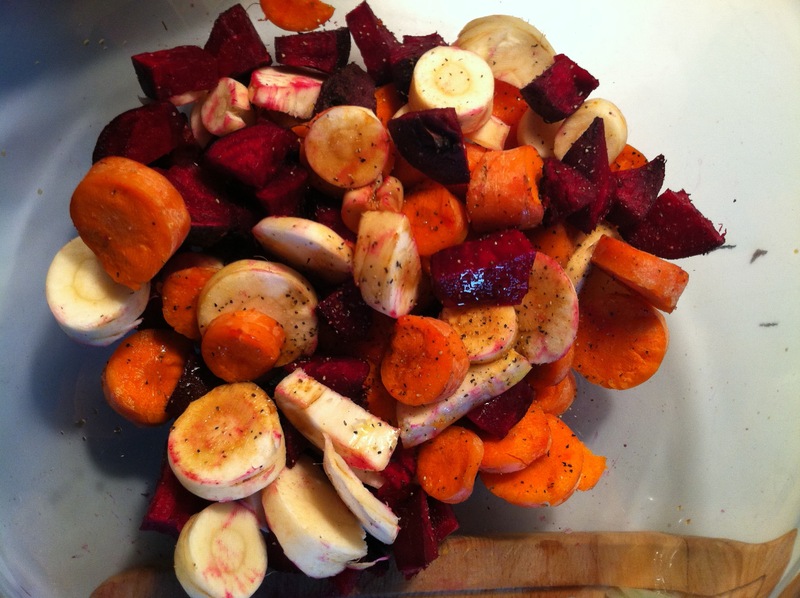 Place veggies into roasting pan/baking dish. Drizzle some wildflower honey over the top. You do not need to coat every piece; just a two-second drizzle is fine. Place baking dish in preheated oven. Now, you’ll roast for another 40-50 min., but every 10 min. you’ll need to carefully mix the veggies with a spatula, bringing pieces from the underside to the top. 0-10 min: Your veggies are warming. Stir. 10-20 min: They should be softer and beginning to brown. Stir. 20-30 min: Your onions might be starting to blacken at the tips. Yum. Stir. 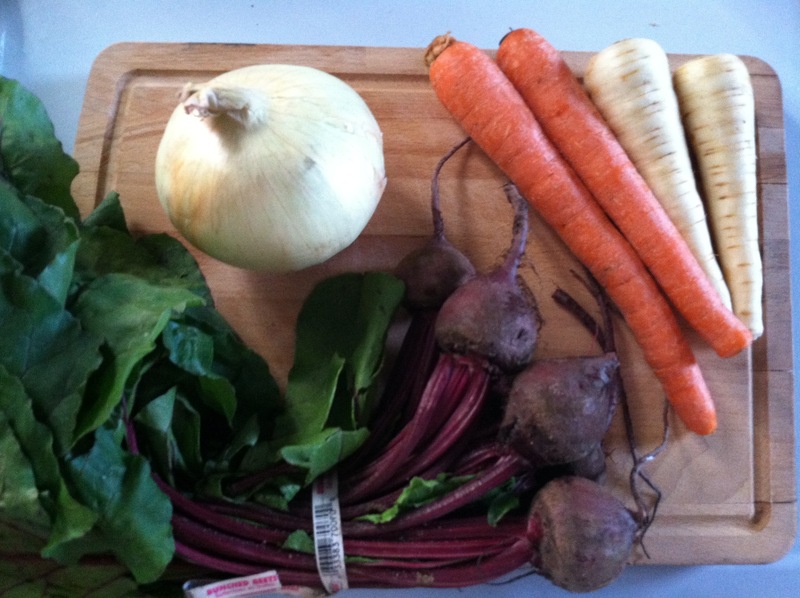 30-40 min: If your veggies are chopped smaller, you might be just about done! Taste test. 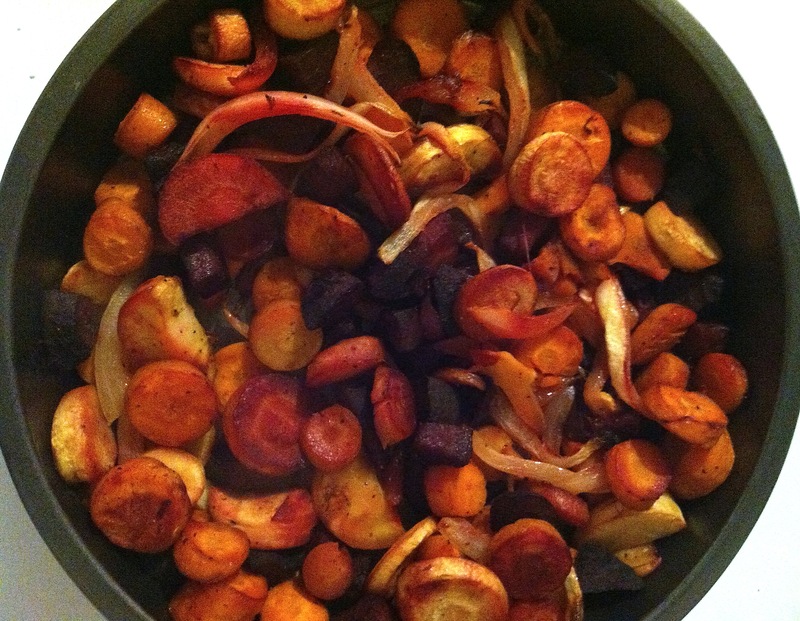 If your beets are still firm or your carrots are still snappy, keep roasting for another 10 min. Don’t stir. 40-50 min bonus time: Done-zo! If there are leftovers, or if you’re bringing this dish to a dinner party, allow the veggies to cool completely before storing in a sealed container. If you seal while warm, the condensation that develops will make them soggy. When you’re ready to reheat, toss on a stovetop skillet to maintain texture.